So, its been a week since i posted the Abyss rising thread. The limit is 4 cards. 2 monsters (including xyz/synchro), 1 spell, and 1 trap. Its better to focus on a lower number of cards than to post all the cards you like or find interesting. Talk about too much win! awesome art+awesome effect. 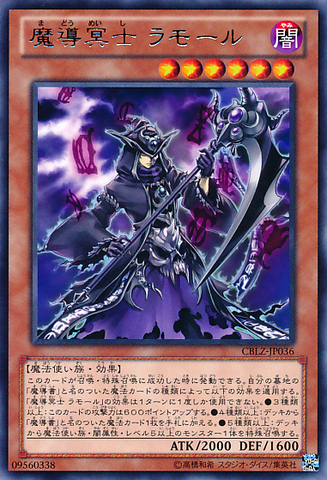 He alone gives spellbooks a new strategy and turns the deck into a huge threat if you are not prepared. a beast warrior RoTA. nuff said! Alright my turn i guess. I like to point to some of the less flashing cards that still managed to catch my attention. Here i go. So anyone who know me knows that i have been playing around with warriors for a long time. Pretty much ever since i discovered immortal bushi. So far the XYZ era have been fun to me. Now here is something that supports higher level warriors which gives support to an old friend of mine, Phoenix Gearfried. Of course there is always Black Luster Soldier(Both versions too). Very decent. Believe it or not, none of the XYZ in this set really caught my attention. Then again when the main cover XYZs are basicly impossible to summon and got like 0 atk then no surprise really. With great power comes great artwork. Okay that is not how the saying goes but anyway. Look at this artwork and tell me it doesn't touch you. As for the eff it can retrieve ANY wind and water attribute monster from the graveyard to hand, but only while there are NO cards on any side of the field. Great power also comes with hard restrictions. Brilliant with Debris dragon after a blackrose. And finally a card actually played in the anime. I know what most of you are thinking: "Well duh it is Interdimensional Matter Transporter version 0.6" Well yea the cards are very much alike however there is one crucial difference. 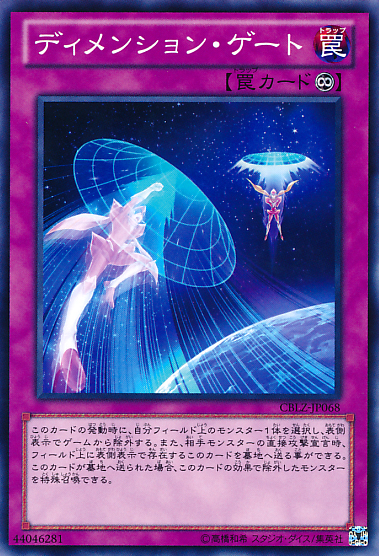 Interdimensional Matter Transporters returns the card, which isn't treated as a summon and can't be negated nor does it trigger anything. Where as this card special summons which means any eff that happens on special summon(Or summon in general). Banish sacred crane and draw once more. Banish Stratos/Hanzo to add an additional monster to hand. Banish esper girl for insane play. There are plenty of options. So yea i went a little more deeper into why these cards are good. See you in the Tachyongalaxy.